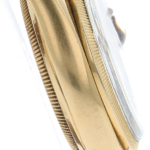 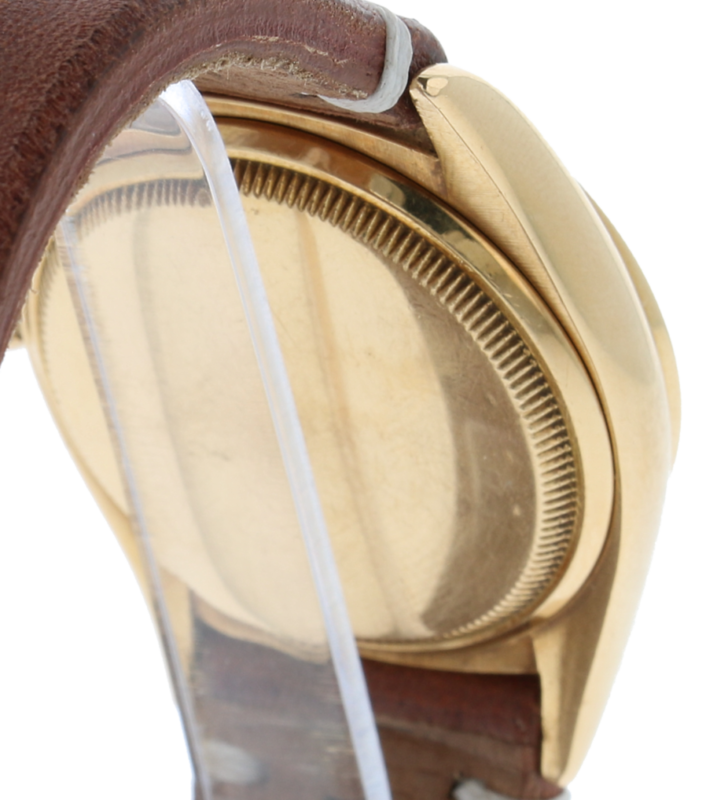 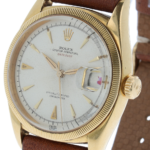 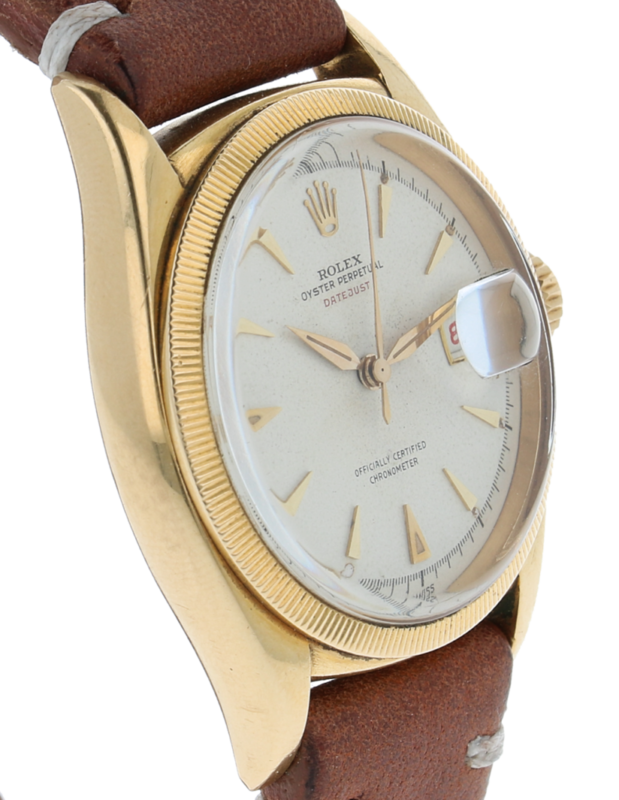 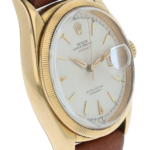 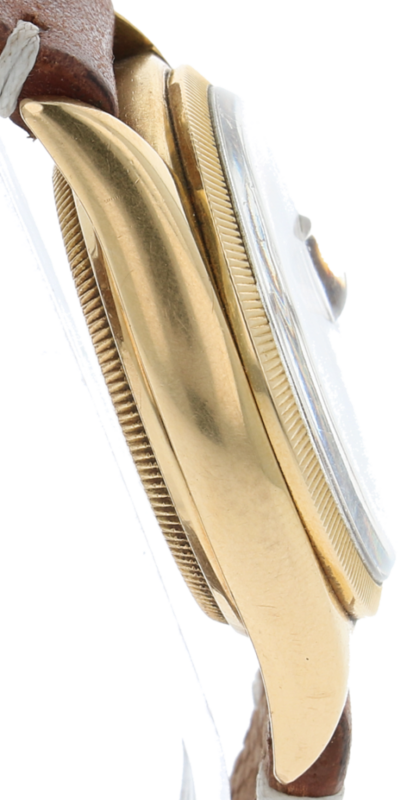 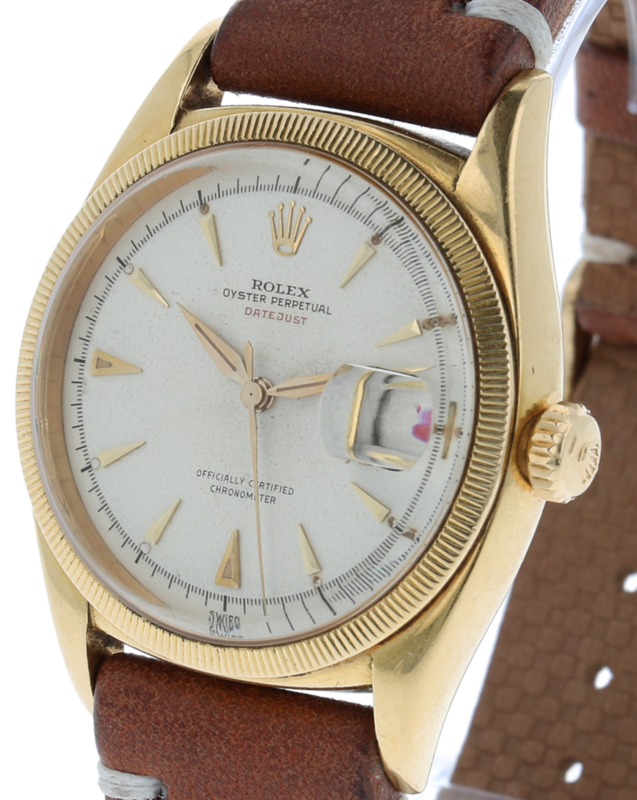 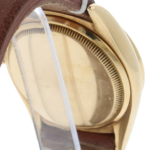 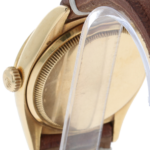 18K yellow gold Rolex ref. 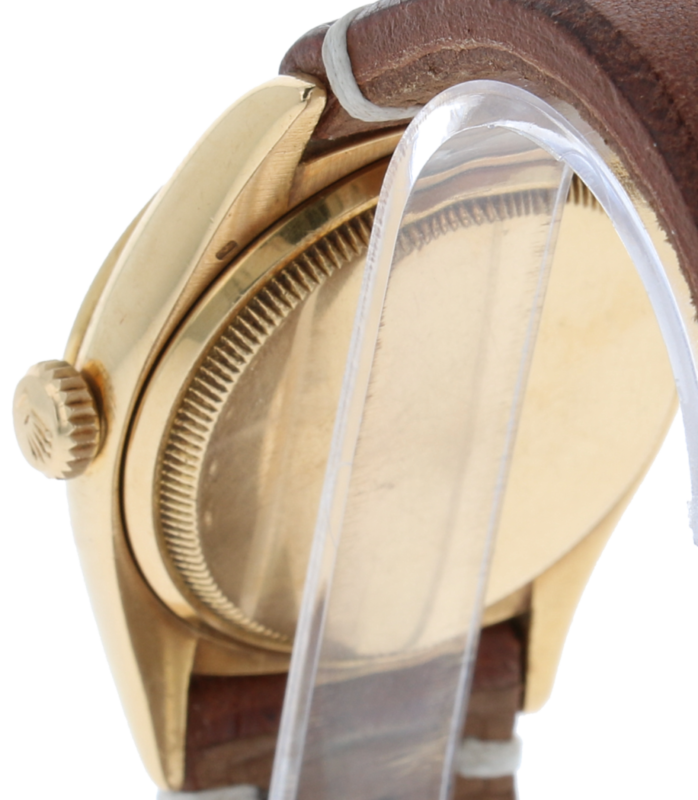 6155 model “Ovettone”, screw case back and crown. 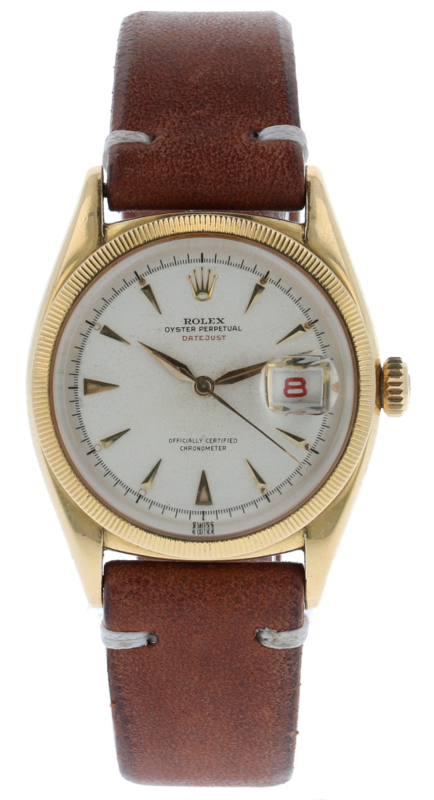 White dial with applied indexes with rare date and write in red.